The Polara had been Dodge's highest trim level up to 1964, but for 1965 the Polara became the base trim full-size car. In keeping with the styles of the year, the Polara was a no-nonsense design – an unadorned car with a cut-line in the bottom third of the bodywork. The Polara was available as a four-door sedan or hardtop, a two-door hardtop or convertible, and a four-door station wagon with either two or three rows of seating for up to nine passengers. Engine power for the 1965 Polara was provided by a 383-cid V-8 engine with 270 hp and 390 lb-ft of torque. A 3-speed manual transmission was standard, with a 3-speed automatic or a 4-speed manual being optional. In 1966, the Polara received a minor restyling to the front end, but the big change was the delta-shaped taillights that marked an otherwise Spartan body design. Body styles remained the same, but the convertible version now used a power convertible top. Sport-minded buyers could opt for a Polara 500 as either a two-door hardtop or a convertible, which included bucket seats and a 4-speed manual transmission with floor shift. The successful Polara line was completely restyled for 1967, gaining some body sculpture, and the two-door coupes received a semi-fastback greenhouse with a reverse-slant rear quarter window typical of later 1960s Chrysler products. Technically the car remained largely unchanged, with a more economical 318-cid V-8 at 230 hp being the biggest change. Transmission options remained the same, with a 3-speed manual stock, and 4-speed manual or 3-speed automatic optional. For the final year of this era, the 1968 Dodge Polara received only minor changes, but the 318 V-8 engine at 230 hp became the standard engine. The 383 was still available as an option, with horsepower raised to 290 when ordered with a two-barrel carburetor, and 300 when ordered with a 4-barrel carburetor. The Polara 500 trim level was available on the 2-door hardtop or coupe. In the 1968 model year, 2,206 Polara 318 vehicles were built for police and taxi use. 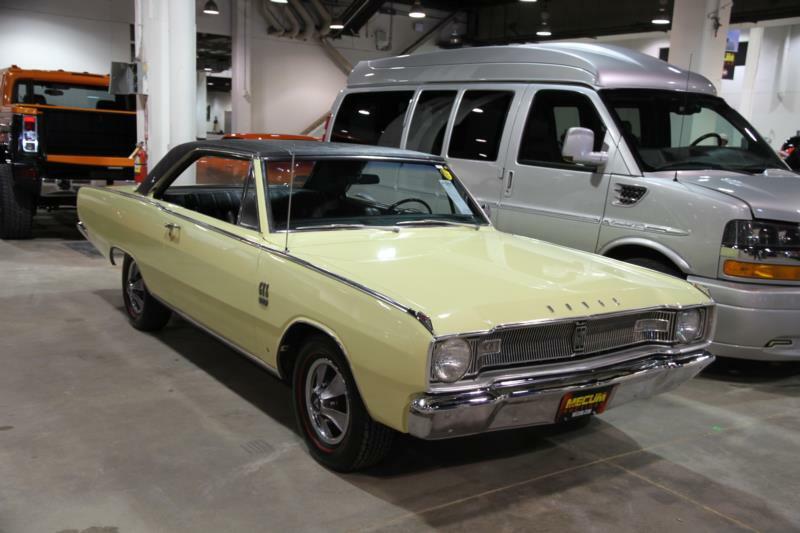 Collectors will want to look for two-door coupes and convertibles with the Polara 500 option. The Polara is not really known for muscle car status, but with the 4-speed floor shift option, this car is no slouch and should have decent upside potential.